Flowers radiate happiness, excitement and abundance and in such a way they naturally express a warm welcome to any place. A weekly arrangement does not only provide a stunning focal point for your office or home but our corporate customers find they also function as easy conversation starters for waiting patients or clients. Members to Petal Passion’s corporate accounts / bouquet club only pay for the flowers and labor, the vessels are on loan and will be picked up at next delivery. Bouquet Club deliveries are on Mondays or Tuesdays and are *free! * in most of the Portland metro area. A discounted delivery fee applies for outer-lying areas. Sign up for a Petal Passion’s Corporate / Bouquet Club Membership now. Your staff, your customers, your Mom, a dear aunt, a friend or you yourself can begin to enjoy all the good energy that fresh flowers bring about in people. Click here for Bouquet Club Options. Email marianna@petalpassion.net or call 503 395 4532 and schedule your seasons of affordable flower deliveries as soon as next week. 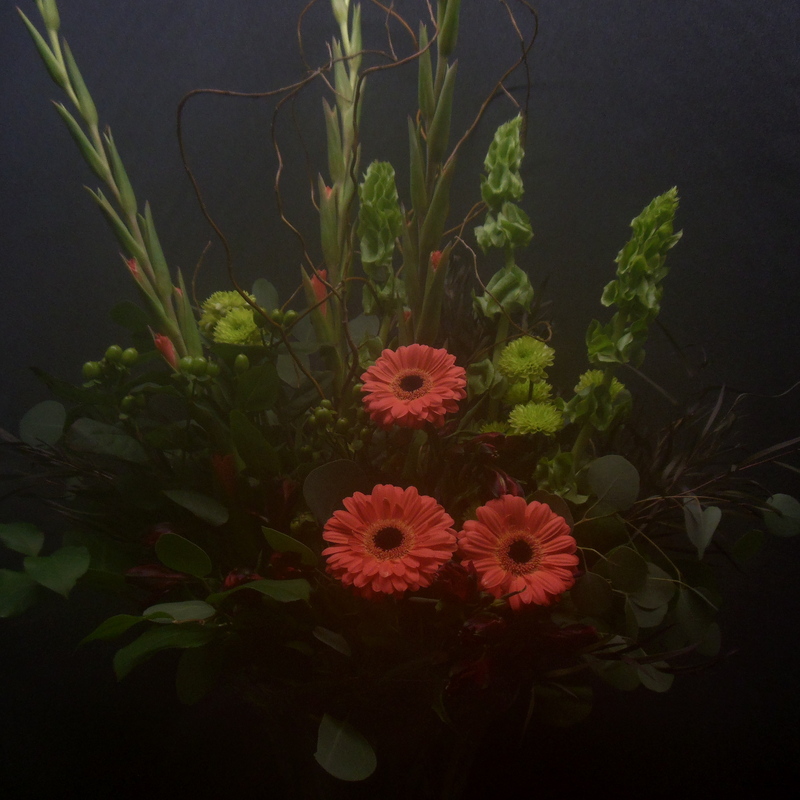 Medium, one-sided arrangement with Roses, Safari Pods, Hypericum Berries and Quince Blossoms.